This novel had a great concept; lots of a fun for a book-lover like me. 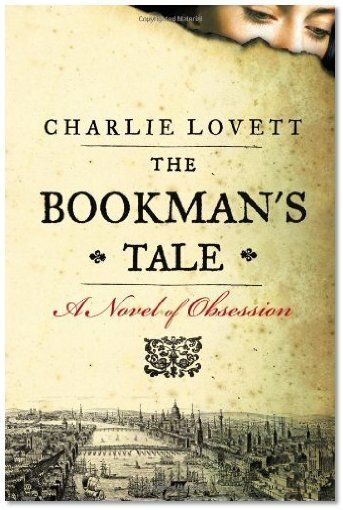 The main character is a rare-book dealer whose young and much-loved wife has recently died. The only thing that shakes Peter out of the fog of grief is a Victorian watercolour of a woman who looks almost exactly like his dead wife — and the unbelievably valuable old book to which the painting leads him. As Peter tracks the book (which of course, like all such books, is being sought by unscrupulous people who will stop at nothing to get it) in the present day, his story is interspersed with chapters showing the book’s journey through time. In this way The Bookman’s Tale is remeniscent of Geraldine Brooks’ People of the Book, but despite the recurring themes of grief and loss, the tone here is lighter and the treatment of the subject more popular than literary. The language is straightforward and the characterizations sometimes a little thin and predictable, but the fascinating story of a book that, if it were found to be genuine, would change what we know about literature, is irresistible. I read this book quickly and with great pleasure. (Parenthetical note: until I went back and looked at my review for People of the Book, I’d forgotten that I had once come up with a name for this sub-genre of books. I called it “Adventures in Resesarch” and besides People of the Book I included in that category Wilton Barnhardt’s ought-to-be-more-famous novel Gospel and of course Dan Brown’s ought-to-be-less-famous The Da Vinci Code, A.S. Byatt’s Possession, which I loved, and Elizabeth Kostova’s The Historian, which disappointed me. I’d count The Bookman’s Tale as a worthy addition to my Adventures in Research shelf). 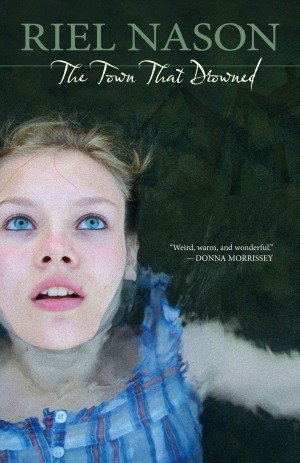 I met Riel Nason briefly when we were both nominated for Atlantic Book Awards last year and have followed her on Facebook and Twitter with interest since then, but only just got around to reading her highly-acclaimed debut novel, The Town That Drowned. Set in 1960s New Brunswick in a small town that’s about to be resettled and flooded by the building of a new dam, this is a vivid, intimate novel that works equally well for adult and young-adult readers. The main character, Ruby, deals with the usual stresses of being a teenager — she’s picked on by more popular girls, her best friend has moved away and Ruby feels like she’ll never have a friend in school again. On top of that, she has to contend with a little brother everyone recognizes as being weird — today he’d probably be diagnosed with Asperger’s, OCD, or a combination of both, but in 1964 he’s just that weird kid whose quirks everyone has to work around and adapt to (or point at and mock, depending on how sensitive they are). Ruby’s adolescent struggles play out against a background of community upheaval: the announcement that the new dam will cause the Saint John River to rise, flooding many homes along the banks, has upset the comfortable balance of Ruby’s hometown as residents have to decide where to go and what to do when they are forced to leave their homes. For a Newfoundlander like me reading this novel it was impossible not to think of the similar experiences of Newfoundlanders during the same era who were resettled from isolated communities — as in The Town That Drowned, a result of government decisions made with a view to the “big picture” and little regard for the impact on thousands of ordinary lives. Some people react with anger, others with despair; a few see an opportunity for a fresh start. Nason’s genius in this novel is not just to tell an important historical story that needed to be told but to find exactly the right perspective from which to tell it. For a girl of fourteen like Ruby, figuring out who you are and finding your place in the world around you is your most important job: doing that becomes far more complex when the world around you is shifting and even the adults don’t know where they belong anymore. The Town That Drowned is a warm, intimate story in which every character feels as real as someone you might meet on the street. While I was reading it I felt completely immersed in Ruby’s world and was sorry when it ended. I passed the book on to my thirteen-year-old daughter; I’ll be interested to see if she enjoys it too. 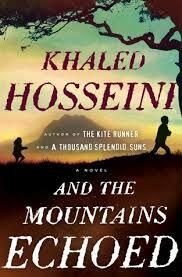 I loved both of Khaled Hosseini’s last two books, The Kite Runner and A Thousand Splendid Suns, but I think I liked this one best of all three (they are not a trilogy, or connected in any way). I love the use of Afghanistan as a setting: for me, his novels bring not just Afghan culture vividly to life, but also the textbook fact that this is a country that has experienced war, one way or another, for almost all of the last 50 years. It’s one thing to know that as a historical fact; it’s another to put faces and names to the kind of people who would have been affected by violence, poverty and massive social upheaval over those years. That’s what this novels does — tells a sweeping story of Afghan life over several decades. Yet it’s also a very intimate story. Had you told me in advance that structurally, this novel reads more like six novellas than like a single novel, I probably would have been put off — I like to start a story and follow the same group of characters through to the end. Here, the reader doesn’t get to do that. A single heart-wrenching decision by a father — to sell his young daughter to a wealthy family who want to adopt a little girl, in hopes of giving her a better life and saving the rest of the family from crushing poverty — has consequences that ripple through the generations. The initial impact is on the little girl, Pari, who is too young to even remember her family of origin, and the older brother, Abdullah, who adores her and is devastated by the loss. But rather than follow their story immediately, Hosseini turns to the stories of other people tangentially connected to the siblings — their uncle, Pari’s adoptive parents, their stepmother back in the village, even the neighbours who grow up in a house near Pari’s new home. Yet rather than being a jarring break from the story you thought you were following, each new section adds another piece of the puzzles, making this one family’s tragedy a vivid illustration of a country’s brokenness. I found every story absorbing, and by the time we get back — as we eventually do — to Abdullah and Pari’s tale, the story is much richer and more detailed. I found this novel so emotionally intense and involving that I felt bereft when it was over. Rather like the Ewan McGregor and Charlie Boorman “Long Way Round” books I read earlier this year, Around the World in 80 Days is the accompanying book to the TV series of the same name. British actor, comedian and writer Michael Palin has, among many other post-Monty-Python projects, hosted several BBC travel series, beginning with one in which he attempts to recreate the 80-day journey of Jules Verne’s hero using only ground transportation and boats — a task that is surprisingly more difficult today than in Verne’s day, because the popularity of air travel has meant the loss of many routes formerly served by trains and passenger ferries. 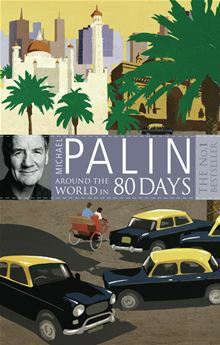 The challenges Palin faced on his journey around the world made for excellent TV and the book provides an interesting behind-the-scenes glance into the series. I don’t know if it works well enough as travel writing to stand alone if you haven’t seen the series. But I do highly recommend not just this but Palin’s other travel series, and if you enjoy them, there’s a book to go along with each one. I was very excited to accidentally stumble across a novel about a writer who fascinated me in my teens and twenties: Antoine de Saint-Exupery. Of course everyone loves The Little Prince but there was a time when I read his books about aviation as well — Night Flight and Wind, Sand and Stars are still on my bookshelf. I hadn’t thought much about Saint-Exupery in ages, though, until I picked up this novel at the bookstore and realized I absolutely had to read it right away. This book is set in 1941-42, mostly in New York. France has fallen to the Nazis; Saint-Exupery is living in exile in America, desperate to fly again and to participate in the war against Germany. But in his early forties, bearing the scars and injuries of several plane crashes, the pioneering pilot who is also one of France’s most beloved writers is too much of a flight risk for anyone to want him in a plane again. His wife Consuela, with whom he had a famously tempestuous relationship, is also in New York with him, alternately seeking reconciliation and flaunting her lovers in her husband’s face. The fictional character whose first-person viewpoint narrates much of the novel is Mignonne Lachapelle, a young fashion designer trying to make her name in the New York fashion world. She becomes entangled with both Antoine and Consuela and their complicated marriage. This novel tries very hard to capture not the flavour of a time and place, but also an enigmatic man who wrote about his own life but also managed to keep much of it private. I’m not sure the writer entirely succeeds — her Saint-Exupery was certainly appealing at times, but he didn’t feel entirely real. Switching points of view between Mignonne and Consuela was problematic for me because I didn’t really warm to either character, and I wasn’t deeply engrossed in Mignonne’s efforts to break into the fashion industry or her relationship with her temperamental boss. 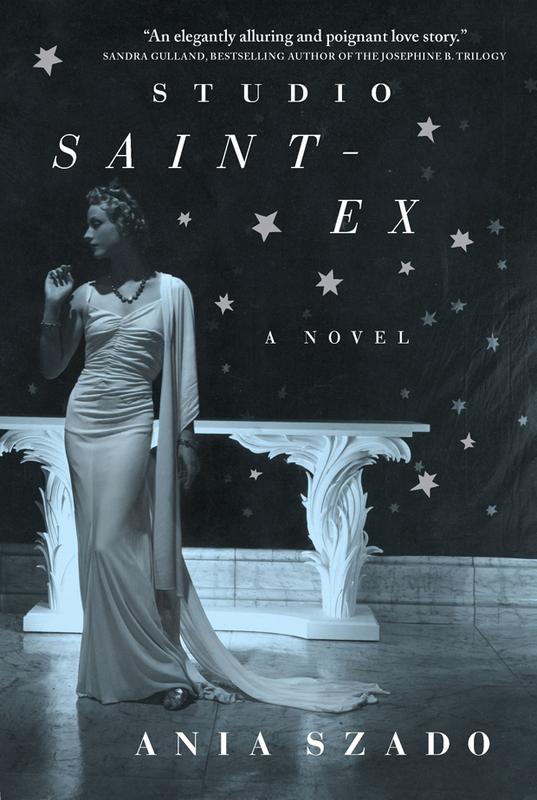 Still, Studio Saint-Ex is an ambitious novel and it did rekindle my long-ago interest in Antoine de Saint-Exupery, which can only be a good thing.